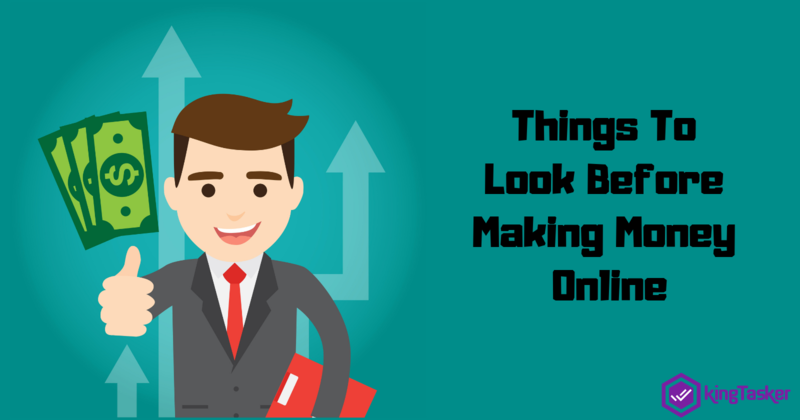 Have you ever tried earning money online? Or let's say that did you ever earn online without getting fooled? Maybe yes, or might be some of you wouldn't have given a thought to it. Isn't it? So, let me tell you that now you can easily earn bucks using apps that makes you money easily. Seems interesting. Right? The best part of performing online tasks is that these tasks can be completed in no time and can be performed anytime, anywhere. Now you would be wondering that how do I reach out the website or app where online tasks can be performed. No worries! We are here to assist you with the most trustworthy and reliable apps which let you earn money. KingTasker: KingTasker is one of the trustworthy money earning app which is most preferred these days. KingTasker pays you a handful amount while you complete simple online tasks. The best part of using KingTasker is that you have no time bars. You can work anywhere, anytime. Once you complete the given tasks, you get reward points credited directly into your account. You can further redeem it while online shopping or making mobile recharge. PhonePe: PhonePe is one of the reliable money earning platform which offers huge offers to its customers. It lets you make transactions quickly and receive instant offers, cash-backs, and refunds in return. 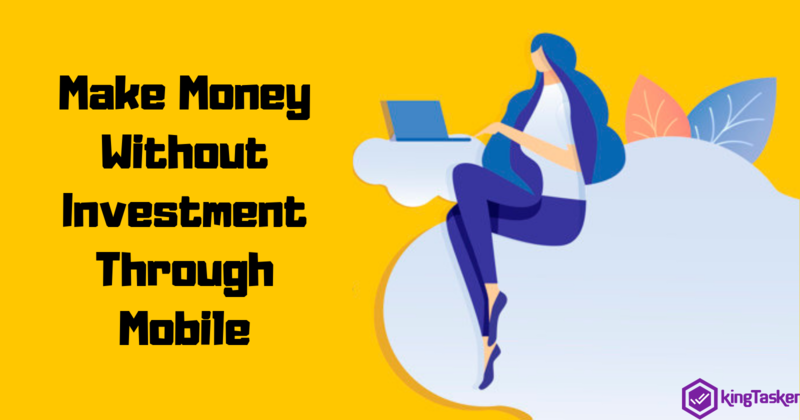 Once you make the transactions, you immediately get a cash back which can be easily redeemed while making online payments, online shopping or paying bills. mCent: mCent allows you to earn while browsing the internet and offers you free data packs in return. You can browse from any available networks and enjoy its benefits. What you need to do is browsing, but not from Firefox, but from mCent app browser. So, whenever you browse from the mCent browser, you get free data packs in return. Moocash: Moocash is an interesting app which pays you for watching videos, trying new apps, or even playing games. You need to install the app and watch the short videos or play games and earn Amazon, iTunes, Google Play gift cards in return. Swagbucks: Swagbucks is a popular app which lets you earn while making online surveys, or even browsing the web. Once done with it, you'll receive various gift coupons including Flipkart, Walmart, Amazon, and a lot more. Moreover, once the user earns 750Swagbucks, he/she can get a cashout via PayPal. 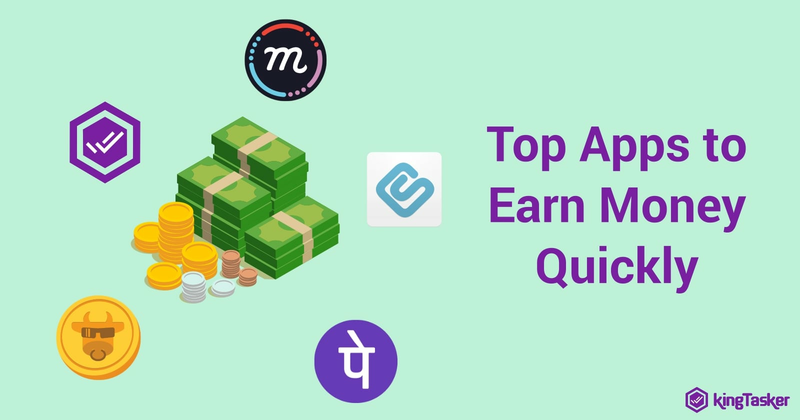 Choosing the best online money earning app! 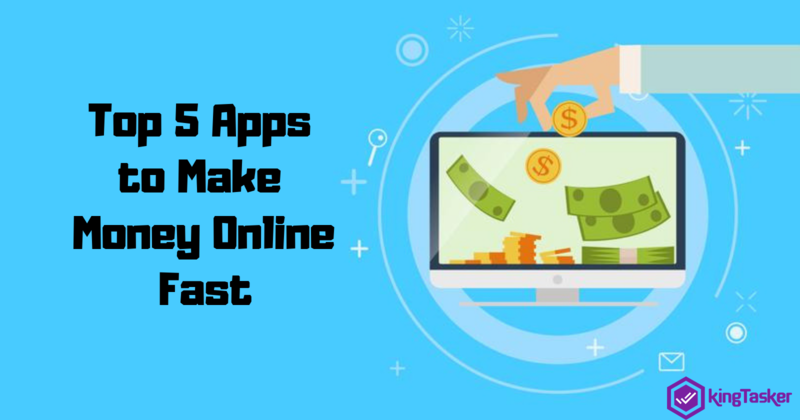 Once you get an idea about how easy it is to earn money online these days, you would love to install these apps right away. Isn't it? What are you waiting for? Waste no more time and download KingTasker app and start earning today itself. Earning could not have been easier than this. Still have queries or any questions, feel free to get in touch with us at any time. Our team would be glad to hear from you!